There are many fond memories that I have of my grandmother, Kate Brown. Spending time with her in the garden. Going bowling with her and sister, Demple Franklin. Listening to the stories of what it was like growing up as the daughter of a sharecropper in East Texas. 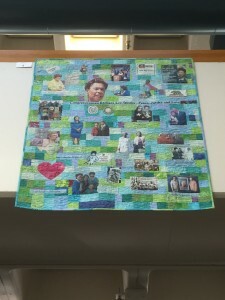 But the memories that often stand out are those of her love for one of her favorite hobbies: quilting. My grandmother had a “sewing corner” that was filled with scraps of material; billowy, white clouds of soft Dacron; and rolls of unbleached cotton fabric. They were pinned and pulled tightly in her handmade, wooden quilting frames. Granny would carefully stitch together these ingredients to create priceless treasures that kept us warm at night. Several times she made quilts for school fundraisers. She ended up getting a job through the Oakland Unified School District, teaching children how to quilt and the beautiful history of this craft. My grandmother was a self-taught seamstress. As a child growing up in Nacogdoches, Texas, this wasn’t just something she did for fun. It was a necessity. Such skills were much needed to survive. Nothing went to waste, as money was scarce. If granny wasn’t repairing her father’s and sibling’s clothes, she was making them. And if the clothing became too tattered to repair, they were repurposed. A pocket from her father’s jeans. A patch from her brother’s shirt. All were stitched together to make a beautiful, intricate tapestry. These quilts told stories. 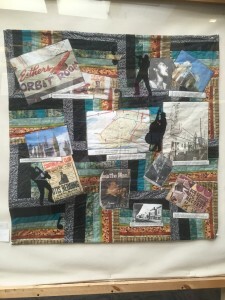 These quilts held history. 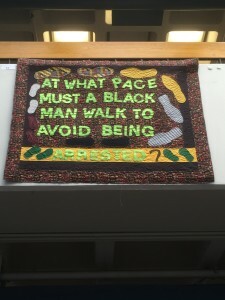 In February 2016, the African American Quilt Guild of Oakland launched its Quilt Show, “Neighborhoods Coming Together: Quilts Around Oakland.” The focus of this exhibit is to create “quilts about people, the environment, history, culture and other aspects of life in Oakland,” according to the Guild. 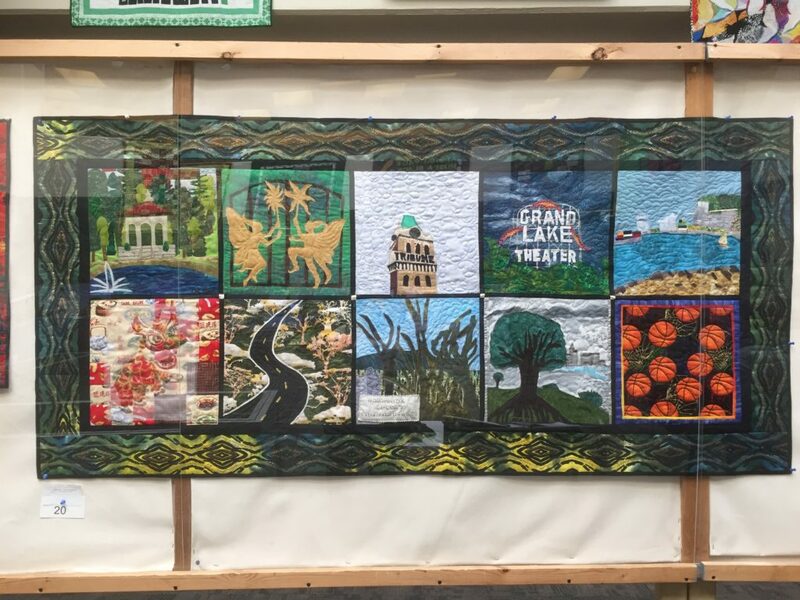 More than 100 quilts have been, currently are, and will be on display at various locations throughout Oakland — such as Oakland’s City Hall, Laney College, and Highland Hospital. Many of the quilts on display within this exhibit, like the one at Laney College, tell the unique and deeply rooted legacy of Oakland. 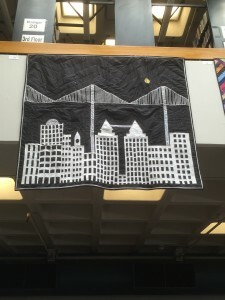 Quilts like “Oakland: There” by the Sew n Sews, a minigroup of the African American Quilt Guild, highlights several of Oakland’s landmarks, such as the Oakland Tribune Building and the Grand Lake Theater. There is also Deborah Salmon’s silver and black homage to the home football team, “Oakland Raiders.” Norma Mason’s “West Oakland Blues” with images of Billie Holiday, Bobby “Blue” Bland, and Otis Redding notes how West Oakland was once the destination for blues, R&B and jazz, especially on Seventh Street. 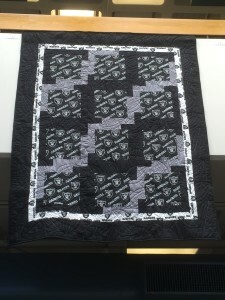 The Guild was started in 2000 and has more than 80 quilters, mostly women. Its members are predominately African-American although, Oakland-style, the group includes whites and Latinos. It meets on the fourth Saturday of every month (except December) at 1 p.m. at the West Oakland Library, 1801 Adeline St., Oakland. The “Neighborhoods Coming Together” exhibit will be on display until August For more information, please visit www.aaqgo.com. Katherine Brown is a 2012 graduate of Oakland Voices. She was born in Houston and her family moved to Oakland when she was 6 months old. Katherine enjoys volunteering, dance and sports, with football being her favorite. Oakland Voices is run in partnership with this newspaper and the Robert C. Maynard Institute for Journalism Education. The program is funded by a grant from The California Endowment, a nonpartisan health care foundation. To read more of Katherine’s work visit www.oaklandvoices.us and follow us on Twitter @OaklandVoices. Katherine Brown was born in Houston, and her family moved to Oakland when she was 6 months old. “I am fortunate to have a loving family and an amazing community of friends,” Katherine says. “I love to help others, which is fused into my life and work.” Katherine enjoys volunteering, dance, and sports, with football being her favorite.